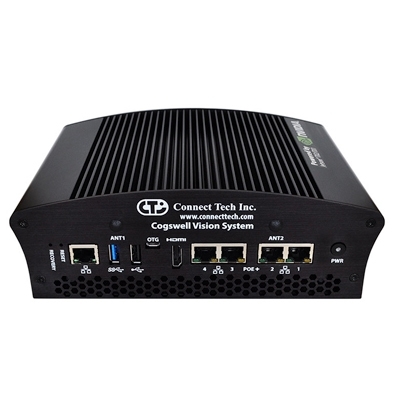 Connect Tech’s Cogswell Vision System is powered by NVIDIA® Jetson™. 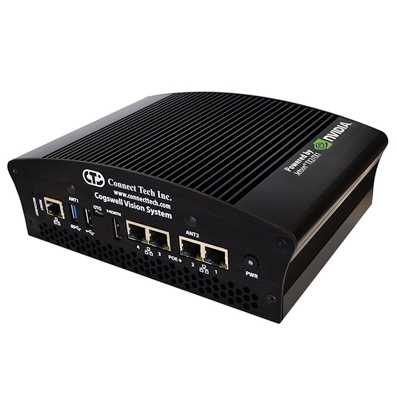 This system is pre-integrated with the NVIDIA® Jetson™ TX2 supercomputer-on-module, providing 256 CUDA® cores on the NVIDIA® Pascal™ or Maxwell™ architecture. 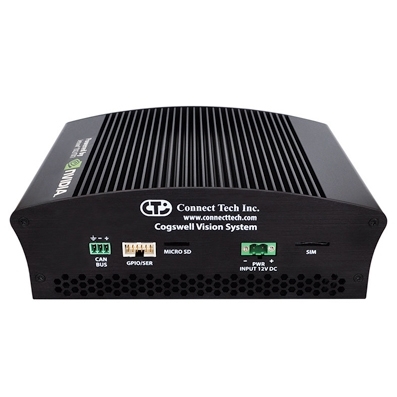 Cogswell Vision System comes in a black anodized metal enclosure and is both fanless and cable free. 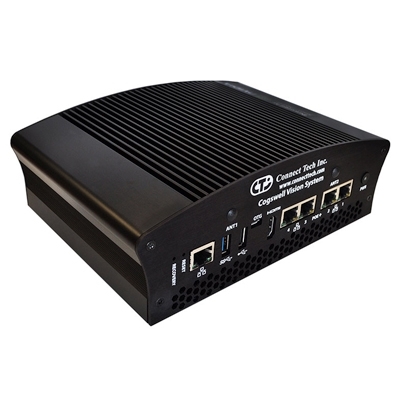 This system is ideal for Machine Vision applications allowing up to 5 Gigabit Ethernet cameras to be connected, 4 of which can be powered by on board Power over Ethernet. This system also comes equipped with USB 3.0, USB 2.0, USB OTG, RS-232, miniPCIe and mSATA expansion.